Curly girls – you already know that curls need extra doting. From wild waves to corkscrew coils, taming those tresses can be constant battle! Here are tricks from our experts for turning your unruly mane into the model of sleekness! 1. 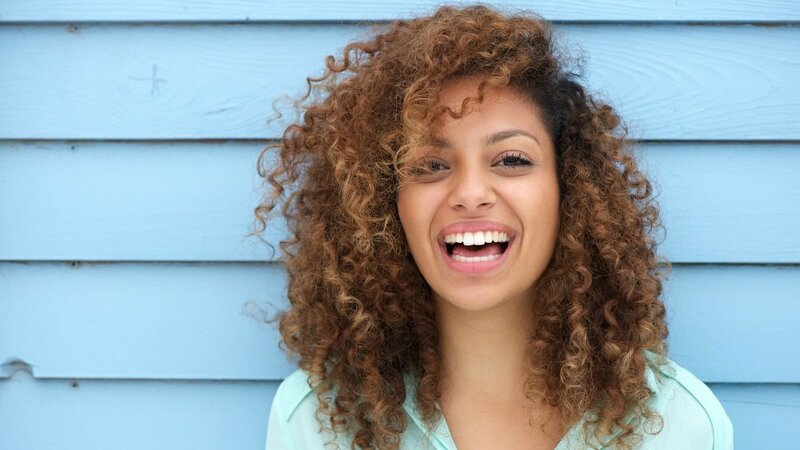 Wash it right: Curly hair lives for moisture, so use rich, hydrating shampoo and conditioner. Stay away from products that contain sulfates, which whisk away moisture. To dry, blot gently with a towel instead of ruffling it up. 2. Brush up your tools: Beware! Brush bristles can break the curl pattern on dry hair. Instead, go for a wide-tooth comb to gently detangle wet hair. 3. Defer to the diffuser: Kindle curls with a blow dryer on low/medium heat, using a diffuser right for your hair. Keep the diffuser in one spot for a smoother curl, or move up and down for a textured look. To be super sleek, angle air flow down the hair. And a word to the wise: Hands off when hair is drying! 4. Make the cut: A longer haircut helps weigh down curls, while layers starting at your chin can ease the fullness. You don’t want a blunt cut, which can look fuller at the bottom, or layers on the top, which can prop up curls – the opposite of sleek! 5. Do it with style: When it comes to styling, find products that fit your hair like a glove. Try a spray for soft curls, light serum for bouncy curls, thicker gel for medium curls, and rich cream for coiled curls. Dole out the goodies when hair is very wet (but not dripping), and pamper your ends to restore much-needed moisture. 6. Give curls their best color: Get an individually blended hair color made just for you, like in a salon, and delivered right to your door. Just go to eSalon.com for a FREE consultation. There’s no obligation, but if you like what you see their experts will blend a personal color just for you. It’s made with high-quality ingredients for rich, shiny color results. And all this is under $20! Right now, new clients can get their first color for only $9.95* (50% off!) with a money back guarantee.